A passion for people and a love of education. I am a great believer in putting faith in young people to excel. I am equally a great believer in the value of experiential learning. I work to create unique opportunities for young people to develop. I have just returned from running a four week development programme for young people, which in and of itself isn’t that unusual, but this programme was part of a record breaking Lands End to John O’Groats Challenge – Beeline Britain. We took a select number of university students on Beeline Britain Crew as part of a blended programme of work experience, personal development and to supporting a record breaking challenge, backed by Prince Harry. The students took roles as the logistics and support team and the PR and press team for the whole challenge. There’s more info on the programme here; this blog is about the bigger picture of learning environments. The most challenging and interesting element, professionally speaking, was to turn my usual development programme on its head. The core foundations of a development programme are the learning outcomes for the participants; typically these learning outcomes are the cornerstone of the project and I then create engaging, real-life experiential learning opportunities that are built on top of those foundations. The Beeline Britain challenge was the exact opposite; this was a real expedition with a learning element within it. 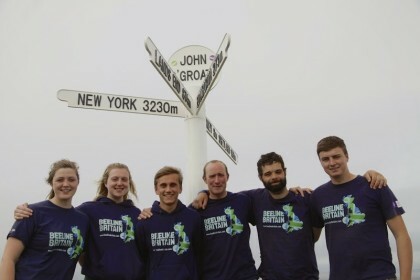 The team of four adventurers including a Paralympian, ex-Royal Engineers Captain who lost both legs in an IED explosion in Afghanistan, were (successfully) attempting to be the first to travel from Lands End to John O’Groats in a straight line. I was attempting to place a learning programme at the core of the support team. Would it be possible to coach students effectively, when the priority was shifting kit and managing logistics? 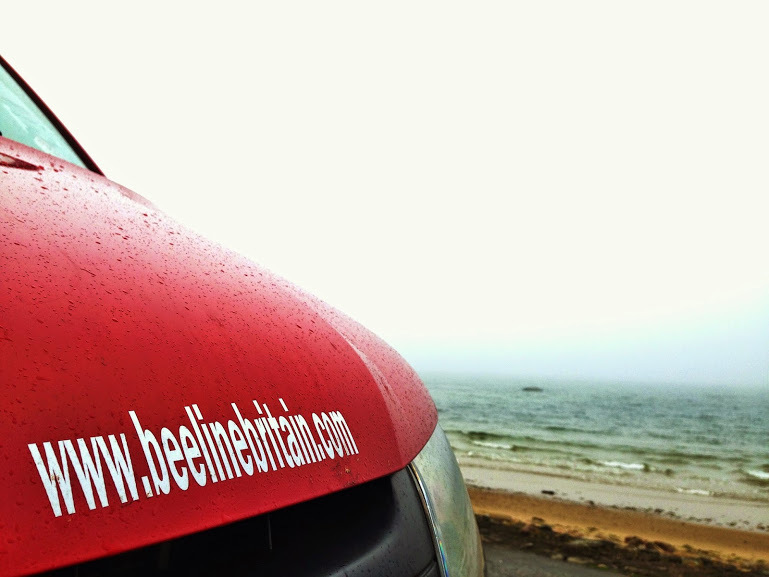 Would we find the mental and physical space for quality reflection and learning with 16 people living in tents, transport vans and support vessels for 4 weeks? How much freedom can you give participants to succeed or fail on their own terms, when failure could scupper a record breaking challenge, 3 years in the making? Here is a little more information about how and why the Beeline Britain Crew programme came to be. So I need to answer my own question. I wanted to create an opportunity for some of the most unique work experiences. 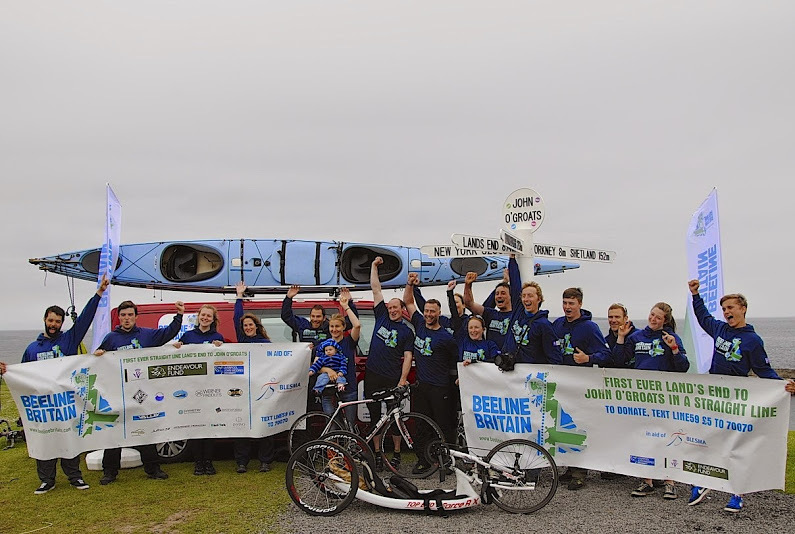 I wanted to take Journalism and Outdoor Education students on a hugely challenging expedition and to create a learning environment within the chaos of a record breaking challenge. The answer all three questions above is a positive ‘Yes’; with a caveat or two. There is no doubt that some of the learning opportunities had to be sacrificed for the good of the overall expedition and, in terms of creating mental and physical space for quality reflection, we were very compromised (in a van and a tent). However, to be forced to live and work with your students (or your leader for that matter) 24 hours a day for 4 weeks in a highly pressured situation creates learning opportunities that just can’t be manufactured. There are many lessons that I took away from the programme: the lead-time needs to be months rather than weeks, the expedition team need to really buy-into the learning objectives and, as the leader for learning, you need to be bullish about creating space and time for learning. 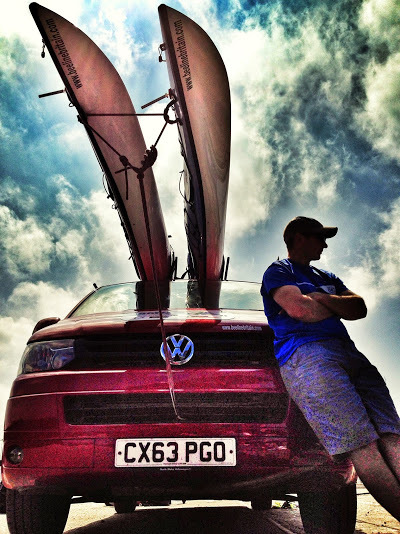 When bikes needed fixing and oiling, when we needed a 3am start to launch sea kayaks off the beach , when food needs preparing and accommodation needs booking, when press releases need to go “Now!”, then quiet reflection and discussion take second place. This hampers the ability to create a structured learning pattern, to digest and build on the lessons learnt and the demands of the expedition are so much more restrictive than a learning based programme. However, what better time to discuss behaviour preferences than after members of the team have had a fallout? What better time to examine the most engaging way to tell a story than 5 minutes before press deadlines? Could a communications exercise be more poignant than when a team of 16 is spread over a 4 vehicles, a 120 mile radius and juggling conflicting objectives? 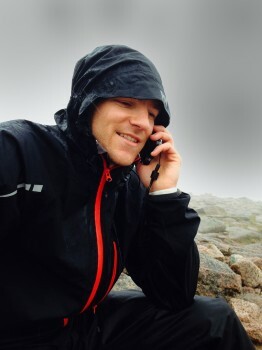 What more challenging way to edit a press release than in torrential sideways rain on the top of the Cairngorm Mountains? I would certainly do it differently; but would I do it again? Yes I would. The more we challenge young people to perform at their best, the more astounded I am about how good their best is. 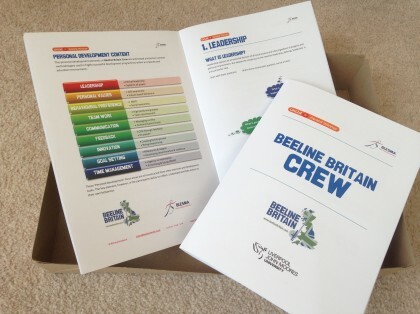 The Beeline Crew wrote and placed over 75 press articles, reached 18,000+ Facebook followers, drove 3,500 miles across the UK and looked after over £100,000 worth of kit. More importantly than the physical actions, the Crew developed their self-awareness, understanding of others, perseverance, self-reliance, time-management, understanding of behaviours and leadership skills – invaluable for the future. 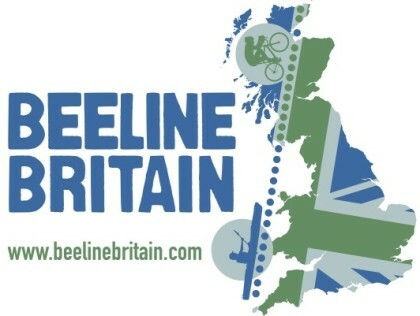 In summary, I suspect that the key voices to hear from are those of the people that took part, the participants and those that took on the Beeline Britain Challenge. I didn’t request it, indeed I didn’t know about it until the end, but some of the young people made a video of their perspective. …..thanks to UnLtd and LJMU for their support in making the programme happen. ©2013 EnterpriseRich. Website design by PixelScience.